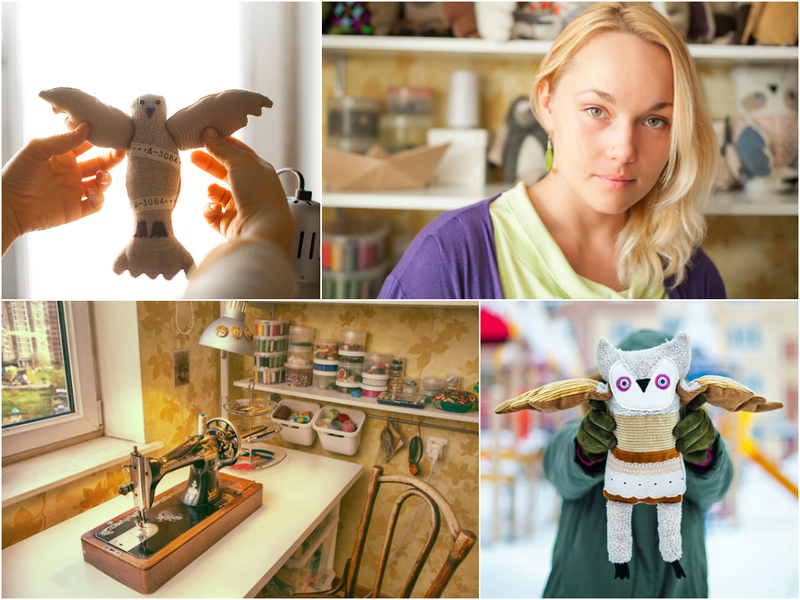 Introducing Olga Zamyatina, from Moscow, Russia of the clever Etsy shop, Wassupbrothers. 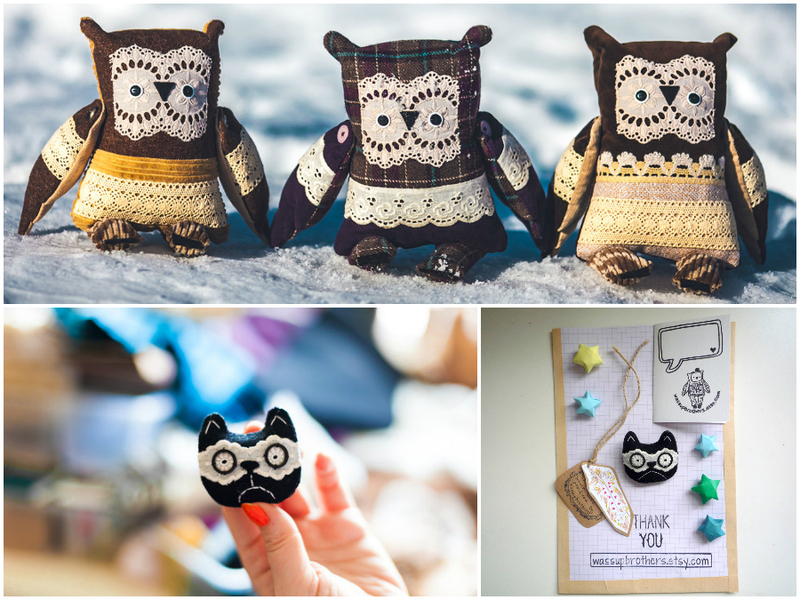 Olga adores making decor with fabric but she is particularly fond of creating creatures. These stuffed animals may look like toys, but it’s best to think of each piece as a soft sculpture. The items are not meant to be played with but rather, used as art and knickknacks around the home. Cotton, felt, velvet and lace with stuffing are not just for kids anymore! Olga and her husband Igor have two funny and wonderful dogs. Igor works as a photographer and supports Olga by taking beautiful photos of the creations in her shop. Some of Wassupbrother’s creatures can look alike but no two are ever the same. Olga attempts to repurpose, recycle, and reuse different materials as often as is possible. It’s magic to see, how small pieces of fabric, vintage buttons, sweaters or old dresses turn into a soulful creations. Since Olga is vegan, she even douses her fabrics in natural, organic dyes like tea, coffee, cinnamon and more. Ella owl is a lacy, peaceful, greenminded and friendly owl. She have movable wings, fixed with the buttons. Her chest is decorated with beautiful cotton vintage lace. On the bottom, Grumpy Cat is a hand-sewn and hand embroidered brooch. Made with vintage, thick felt, it is a great quality material from Russian Soviet Marine’s overcoats. Does everyone see the resemblance to Grumpy Cat, real name Tardar Sauce, the Internet “catlebrity” known for her disgruntled facial expression? 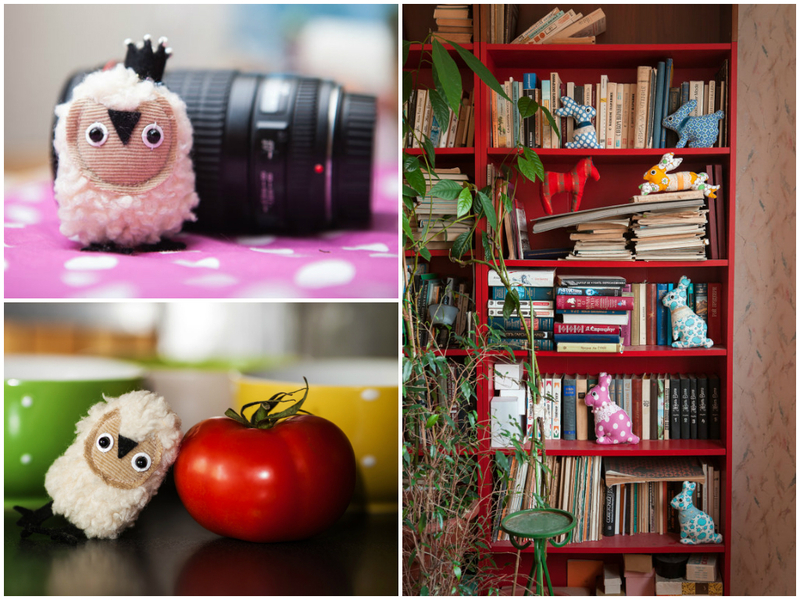 Meet Crupitsik owl, as small as a tomato, Prince Gustav little owl, the photographer, and their little bunny companipons! Not just for nurseries, Olga’s products fit perfectly in a kitchen or on cabinets in your living room and office. The animals are truly little sculptures! Olga is an artist whose medium is fabric. Carrot soft sculptures in a bunch. Carrots tops are made from tea-dyed vintage cotton lace and synthetic lace. Mr. Bat Henry Forrester, is made of faux fur in natural and warm earthy tones. His wings and ears are layered with the teadyed lace.